I’m on a diet. A diet to prevent G.A.S. As any self-respecting enthusiast knows, G.A.S. is very serious and may be a terminal condition. G.A.S. stands for Gear Acquisition Syndrome and blog followers know that I’ve had a strong case of it, over the years. Let’s just say I have over 50 cameras. More, actually, but I stopped counting. I bought my last camera around Christmas, last year. The Canon G7X Mark II, which, thankfully, I’ve used quite diligently. But, you know what the means. I haven’t bought a camera this year, and we are already 7 months in. This may even be a record. It’s not like I wasn’t tempted. I saw a beautifully kept Polaroid SX-70 with brown leather at Precision. I think the SX-70 is one of the most innovative and beautiful cameras around. Yeah, that was tempting. I also saw a Olympus E-PL2, in an unusual color, for cheap, in the used digital cabinet. That one would’ve been interesting too. But I resisted. 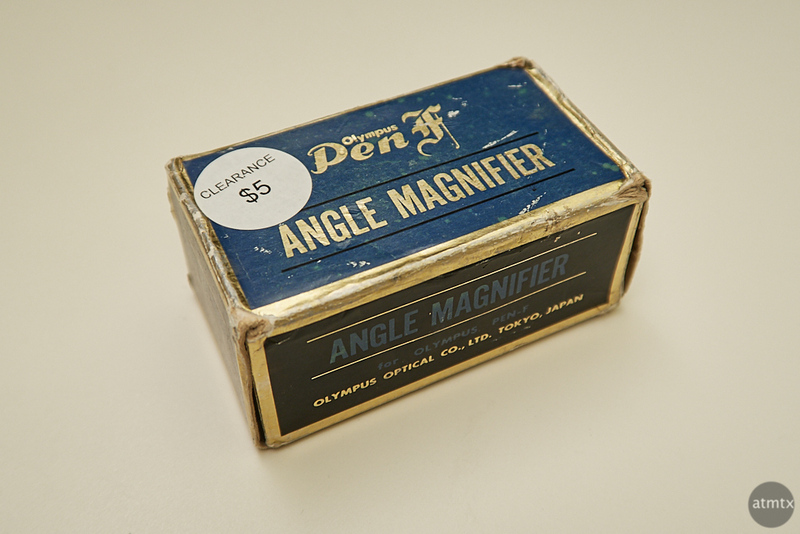 A week and a half ago, Precision Camera had a swap meet. A collection of used gear from their inventory, as well as outsiders, were selling their wares. I went, of course, and did a pretty good job of resisting temptation. I did buy a very modest but beautiful accessory for $5. 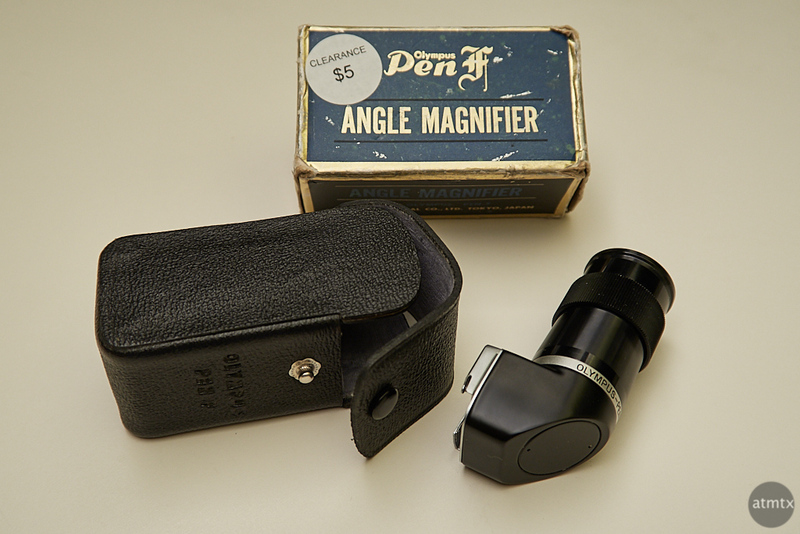 This angle magnifier, an attachment for the Olympus Pen F film camera. I actually do own the Olympus Pen FT, which is a slightly newer camera built between 1966 – 1972. I’m not sure how old the accessory is, but there’s a chance it’s as old as me. It’s in great shape and with a nice leather case. They certainly don’t make them like this anymore. Overall, I’m happy with my primary cameras. The pair of Olympus, the OM-D E-M5 Mark II and the PEN-F, as well as the Canon G7X Mark II, form a small capable kit that I enjoy using. Of course, the camera companies are trying their darndest to infect people with G.A.S. Sony has their new A7 III, full frame mirrorless camera, which looks very capable. And at $2,000, is reasonably priced. I briefly considered selling my Canon 6D DSLR and all the Canon lenses which might be enough to cover what I want in a small Sony system. An A7 III and maybe a 35mm and 50mm prime. There’s a big, all day “Sony Takeover” event at Precision Camera this Saturday. Maybe I’ll go, just to build up immunity. It’s like a vaccine. You need to get small doses of temptation, so that you can become stronger, resisting.